Comment	 Octans is the most southern of southern constellations devised by Nicolas Louis de Lacaille in the eighteenth century. It was named in honour of John Hadley's invention of a double reflecting octant. Astronomers and navigators used this scientific instrument to measure angular distance between the horizon and celestial objects. The constellation hosts the location of the south celestial pole. Unlike the north pole, it has no bright pole star. Sigma Octantis is the closest naked-eye star to the pole alas it is so dim it is difficult to use for navigation. 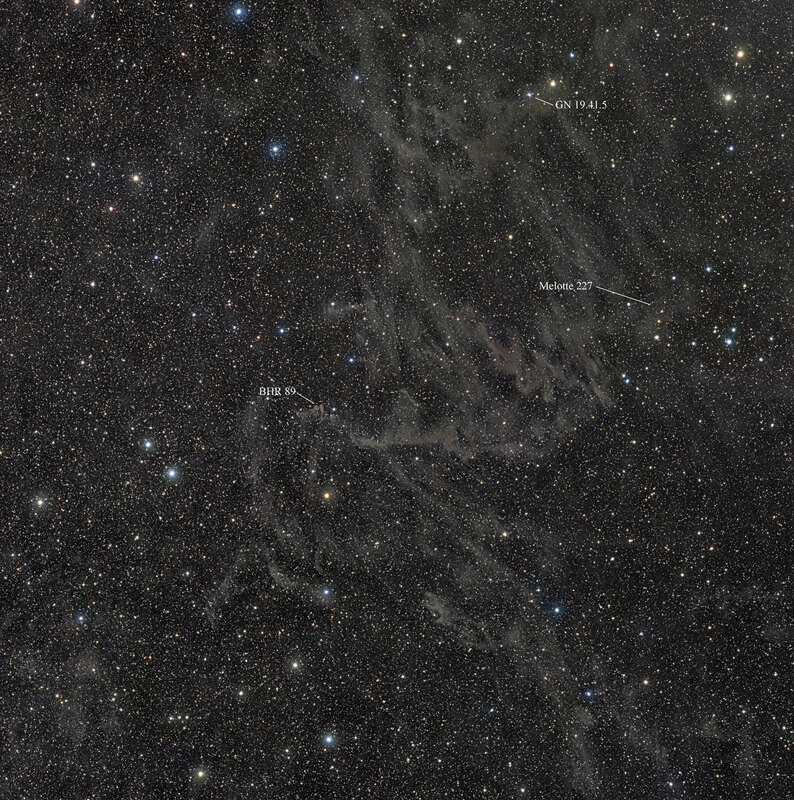 The constellation does not contain many deep sky objects but makes up for it with a complex array of galactic cirrus dust clouds. The dust clouds are illuminated by the energy released from the integrated flux of all stars in the Milky Way and are composed of dust particles, hydrogen, carbon monoxide and other elements. Field of view is 6.4 degrees square. The image is a four panel mosaic, LRGB composite.